I’m starting off with a fun fact. 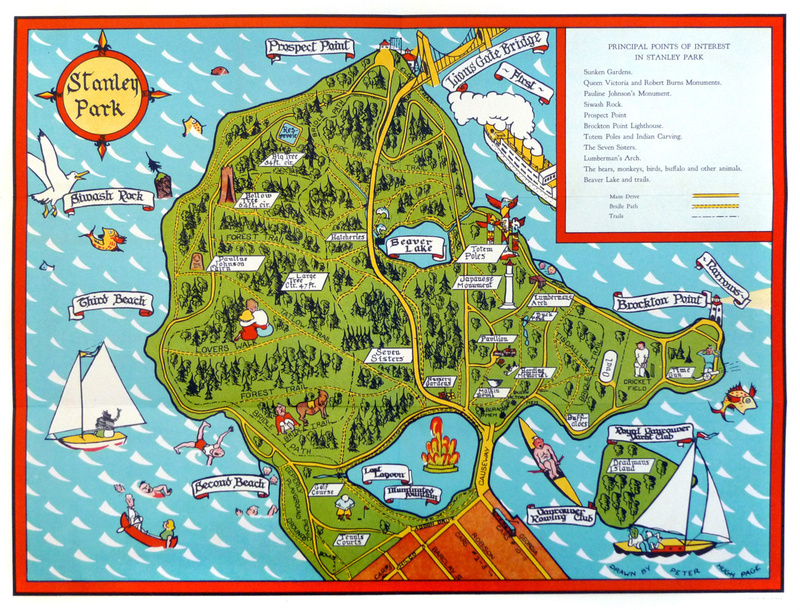 Stanley Park is actually the biggest urban park in North America. As in, it is larger than a certain Central Park. So you can easily spend hours exploring in and around the park on the outskirts of Vancouver’s CBD. I probably didn’t see Stanley Park enough when I lived in Vancouver. But I made sure I visited one last time before I left to capture it through my camera lens. This was how I spent a Vancouver day in Stanley Park and its neighbour, West End. My friend and I began our day how all good ones start — with brunch. We wandered down Robson Street, one of the main West End thoroughfares. We thought we’d check out the infamous Earl’s, which are dotted across the Vancouver landscape. We were seated outside on the back patio, which offered us some much needed Vitamin D as well as city views. Kate and I both decided to go for the $12 Sourdough French Toast. As you can see, it was pretty spectacular. The dish was served with berry compote, maple syrup and Chantilly cream. We washed it down with some juice and then proceeded to walk it off through Stanley Park. Stanley Park is massive. Like a 1000 acres massive. As you can see in the image below, it is almost completely surrounded by the waters of Vancouver harbour and English Bay. There is a local bus (#19) that does a “Stanley Park Loop.” This was how we got into the park so we started close to the Japanese Monument on the map above. From here Google Maps directed us towards Beaver Lake. The lake’s surface was heavily covered by lilies and reeds. But walking around it, we caught glimpses of the water hiding below. After reading the board above, it turns out Beaver Lake is slowly shrinking into Stanley Park. Poor Beaver. From the lake we just followed one of the many trails in the opposite direction we came. Soon we found ourselves at the major road through the park, which takes people across the Lions Gate Bridge to West Vancouver. We walked across the overpass and then meandered through the forest. I kept an eye on Google Maps to ensure we were heading in some sort of sensible direction. Stanley Park is the kind of place perfect for relaxation and reflection. We passed a few bikes and fellow walkers, but it is so easy to just find a place for yourself in its large expanse. We decided to head towards the water after a little meandering. I felt proud when we stumbled out of the forest and at the beach. Second and Third Beach in the map are part of English Bay. They are very popular in the Vancouver summertime and the Seawall connects them to the rest of Stanley Park. Second Beach is also home to an outdoor swimming pool. It is literally swimming with people in summer, attempting to turn their skin from translucent to tan. We walked along the Seawall until we reached another of West End’s main thoroughfares: Denman Street. West End is a great Vancouver neighbourhood. You are walking distance to the beach, Stanley Park and the city. Denman, Davie and Robson Streets also have plenty of restaurants and cafes. After our walk, Kate and I were quite hot and tiresome. So we decided to treat ourselves to some ice-cream. It was just what the doctor ordered. Stanley Park is a must-see when visiting Vancouver (particularly in fall when the leaves change). Although you can follow our lead and walk, there are plenty of bike rental places in West End for a more thorough tour. There is also a park train, or perhaps a horse-drawn carriage is more your style? Nonetheless, there are plenty of ways to explore Stanley Park. Plus once you are done, step out of the forest and into West End. A Stanley Park day is a perfect way to enjoy Vancouver. Are you a park person?